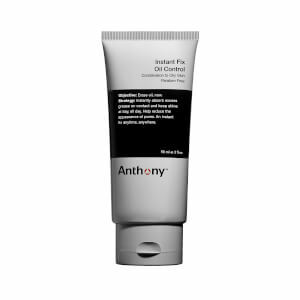 The founder of Anthony leads the development behind all of the products in the portfolio, creating skincare that he would use himself. 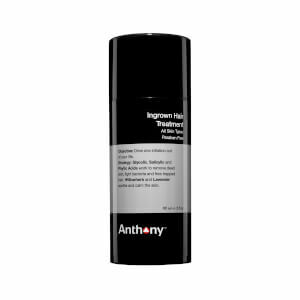 Each product is carefully formulated with the finest ingredients and craftsmanship and is subjected through Anthony's discerning standards that take a product from ordinary to extraordinary. Simplicity can be a man's best friend when it comes to a shaving and skincare routine. 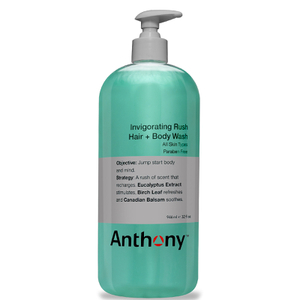 The Anthony brand was designed with your unique needs in mind, offering products for shaving, bathing, and treating your skin. You don't have to invest a lot of time and effort into keeping your skin looking and feeling healthy. 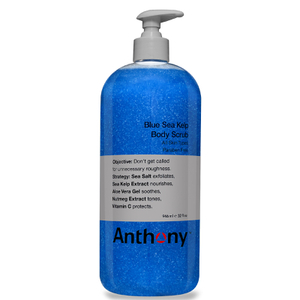 Thanks to Anthony, you can boost your skin's health efficiently. If your personal care routine involves a simple bar of soap, it's time for a change. Anthony products come in a range of styles, allowing you to find the right product for your needs. Backed by a dozen years of research, these products can help you with every step of the skin care process. 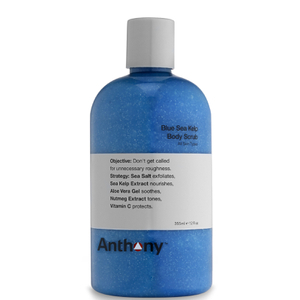 If your current skincare routine relies on simple cleansing, try improving it with Anthony facial cleansers and adding some hydration with a facial moisturizer designed especially for your unique skin. Prep your complexion for shaving with a pre-shave oil, invest in a tool kit that makes grooming simple, choose a cream or gel to shave with ease, or opt for an aftershave balm that leaves your freshly shaven skin feeling soft and smooth. You can even pamper some areas you might have been neglecting thanks to Anthony. A body scrub can exfoliate from head to toe, lotions can leave your dry, rough skin moisturized, and eye products can create a brighter and even more youthful look. Find the right Anthony products for you today. 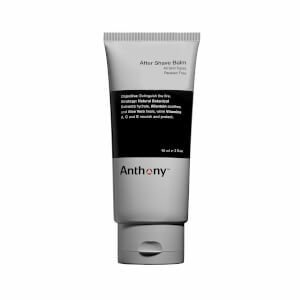 If you're on the lookout for high-quality skincare products that will neither break the bank nor let you down, check out the Anthony Products listed below, from the moisturizers and cleansers to the shaving aids and hair-care accessories. The brand prides itself on offering affordable but acutely formulated products, from moisturizers and exfoliators to shampoos and shaving creams. This is a diverse lineup, but all of the Anthony Products share this spirit of high efficacy, minimal incorporation of harsh and artificial ingredients, and excellent value. You can be confident you're getting a treatment powerful in action but gentle on your skin and your pocketbook, healthful, soothing, and cost-effective. The Anthony Products are not only expertly crafted; they're also easy and straightforward to use. Once you've experienced their soothing treatments and their reliable results, you'll fully incorporate them into your grooming regimen, and you'll be glad you did. It's all too easy to waste time, and money, on mediocre skincare products; after all, they flood the market with their ineffective, sometimes harsh components and laborious, messy procedures. The Anthony Products aren't like that: They deliver where and when you need them most, and emphasize botanical extracts and other natural ingredients to achieve their results. To cleanse your skin while also setting yourself up for the perfect shave, try the Anthony Glycerin Cleansing Bar Citrus Blend. This soap is packed with goodness, everything you need to deeply cleanse and soften facial hair and skin. Wholly vegetable-based, the Anthony Glycerin Cleansing Bar boasts such natural and high-power ingredients as botanical extracts, aloe vera, glycerin, orange extract, natural alpha-hydroxy, and Vitamin E, all of which coordinate to clean, hydrate, exfoliate, and condition. Your skin won't feel dry or irritated after using this soothing soap. 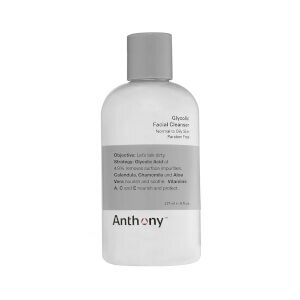 For an excellent daily wash for your face, use the Anthony Glycolic Facial Cleanser. Your skin will be calmed with aloe vera and nourished with a suite of vitamins, all while glycolic acid tackles creases and wrinkles. This is also a good product to use ahead of shaving: It'll prime your skin for the razor, while minimizing the incidence of ingrown hairs and razor burn. The Anthony Mud Scrub Exfoliating Bar takes no prisoners when it comes to impurities like oils that wreak havoc on your complexion and irritate your skin. Formulated with Dead Sea Mud, glycerin, oatmeal, and other natural agents, this soap bar cleanses pores and, courtesy of its mint component, cools the skin.